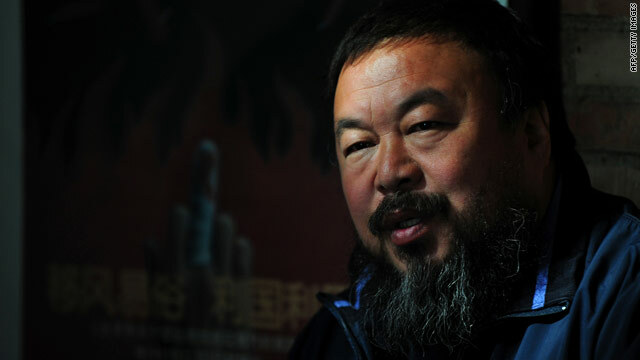 Fears are growing over the missing Chinese artist Ai Weiwei. He’s not been seen since he was detained by Chinese authorities on Sunday. Police reportedly confiscated more than 30 computers and hard drives from his home in northern Beijing. The 53-year old artist has been an outspoken critic of the Chinese government and has clashed with authorities in the past. The U.S., Britain and Germany have all expressed their concern. On tonight’s show we put your questions to Brad Adams, Executive Director of Human Rights Watch Asia Division. What do you want to ask him? Do you think this is part of a crackdown on dissent in China following the protests in the Middle East and North Africa? Does this detention spark fear for lesser-known dissidents in the country? Here's your chance to have your questions answered. Please leave your questions below and be sure to include where you're writing from. Kewl you should come up with that. Exellcent!